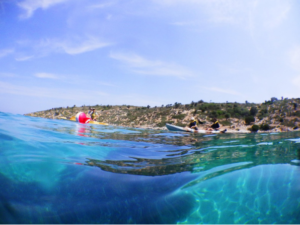 Figure 1: Vroulia Bay: Two m² of Posidonia Oceanica newly transplanted at 4 m depth in the marine life sanctuary (Credits: Clara Llabres Socias – Archipelagos). Posidonia oceanica is a marine flowering plant, also called ‘seagrass’. 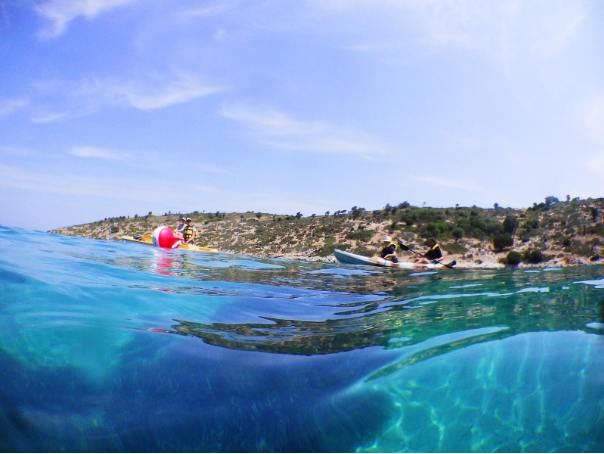 It is at the basis of most Mediterranean costal ecosystems. As an engineering species, it provides a lot of services and benefits for both humans and wildlife, by supporting marine life (algae, fish, and invert), enhancing biodiversity and improving coastal stabilisation, among others. Their meadows have been and are regressing naturally and also due tohuman activities since the 1930s. Anthropogenic activities like anchoring, building of coastal structures, and chemical pollution (leading for example to eutrophication and high turbidity) are weakening the meadows, making them more exposed to natural stress (hydro dynamism, sediment turbidity, predation…). 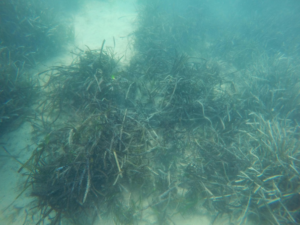 The main concern about seagrass restoration projects is that the loss of seagrass already disturbs their protective and balancing services, which leads to the establishment of ‘antagonistic feedbacks’ such as erosion, predation or high flow, thus adding stress to the newly planted seagrass. 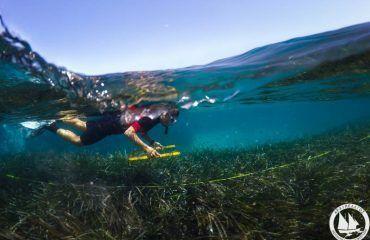 To recover seagrass meadows and preserve their biodiversity it is important to both reduce the human pressure and develop methods to restore large-scale seagrass areas. The project completed on June 19th 2018, is a pilot study of low-cost and big scale area transplanting of Posidonia oceanica. 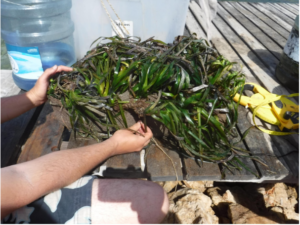 Damaged and detached seagrass fragments were collected from the shore after stormy periods. They were then anchored at a high density (300 seagrass fragments/m²) in hessian bags filled with sediment (sand, silt and dead matter) using biodegradable materials. Seagrass were first planted in the hessian bag and let to settle from the stress of handling in accessible containers (Figure 2). 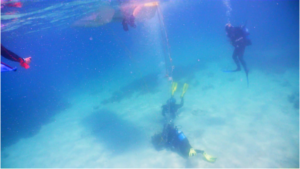 The bags were deposited in a sandy area where divers collected them and transported them to the final site (Figure 4). Divers buried a total of 2m² bags (Figure 1) in the transplanting site, thought to be an anchor-damaged site, in order to stabilise the meadow and recover the lost area. Seagrass health data was collected on each seagrass fragment, and their position in the bags was recorded to allow a precise monitoring. 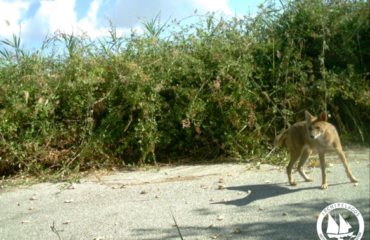 Ideally this project will be carried out from 3 to 20 years, studying the success of the project and the threats affecting the replanting in this area. The Hessian bag method is a cheap method that could, with more development, allow restoring big areas of damaged meadows. It allows to plant the seagrass in high concentrations prior to the burial by diving, which is generally a very limiting step. Bigger bags, associated with seeds culture, could resist even better to hydrodynamic events and allow to create a big area of new meadow. A creation of this large scale and dense area would hopefully allow to counteract the different threats and antagonistic feedbacks for the restoration of very damaged seagrass areas.